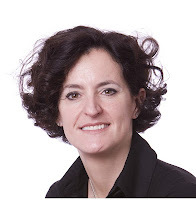 21st May 2012 - OgilvyOne has appointed Annette King as CEO of OgilvyOne Europe, Africa and Middle East (EAME) with immediate effect. In this role, Annette will oversee a network of 20 offices in 16 countries, driving growth and evolving the practice across the region. She will continue to be based in London where she will take on the role of Chairman, OgilvyOne UK. She will continue to report to Paul O’Donnell, Chairman, OgilvyOne EAME and Group Chairman of Ogilvy & Mather UK. Under Annette’s leadership, OgilvyOne UK has seen phenomenal growth in a largely stagnant market, winning record new business including Drinkaware, British Gas Business and Bupa. The agency was the most awarded direct and digital agency in the UK last year winning at the Cannes International Festival of Creativity, taking two Campaign Big Awards and 11 Direct Marketing Association awards. OgilvyOne UK was also crowned Campaign Magazine’s agency of the year in 2010 and 2011, and is widely recognised as UK’s leading direct and digital marketing agency. During Annette’s tenure as CEO, OgilvyOne UK grew by 30 percent. In 2011 alone, new business billings exceeded £37 million and the agency’s headcount increased by 10 per cent against a backdrop of limited growth within the industry. OgilvyOne’s digital credentials were further underlined when it beat pure digital agencies to pick up BA’s creative technology business earlier this year. Annette has worked at OgilvyOne UK for the past 12 years, enjoying a rapid rise through the ranks. She was appointed Managing Director at the beginning of 2008, and was promoted again to CEO, OgilvyOne UK, just nine months later.